Campsie View Fun Club provided children with learning disabilities the opportunity to spend leisure time with their peers for three hours after school, one day per week for twenty weeks, doing fun activities. The Club also enabled the carers of the children to have a break from their caring role. Following extensive consultation with parents/carers, the Head Teacher and with East Dunbartonshire Council officers from Education and Social Work the Campsie View Fun Club has been piloted utilising financial support from the Short Breaks Fund Better Breaks Programme, and parental contributions. 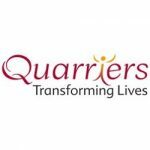 All staff were either existing vetted Quarriers staff who work within the Care at Home Service which provides support to children and young people within the local community or support for Learning Assistants already employed in Campsie View school. Utilising existing staff avoided the cost and time of a standard recruitment process. Expression of interest forms were sent out to all parents/carers via the school in May and 20 parents asked for a place. Due to Care Inspectorate registration this process had to be repeated in October and numbers dropped to 8 which meant all could be accepted. The Club took place in Campsie View School and ran from 3 – 6pm on a Wednesday afternoon (excluding school holidays). The Club ran in two consecutive ten week blocks. Whilst at the club the children participated in structured and free play. The children enjoyed using the outdoor space at the school especially going outdoors in the dark and playing with head torches and doing treasure hunts and cycling. They also enjoyed some specialist input such as the Animal Man, Jo Jingles (singer) and Science Lab. Children enjoyed playing with Lego, the soft play area and chill out time watching cartoons on the projector screen at the end of the session. During their break the carers used their time in different ways. Some used their time to participate in relaxing activities that ordinarily they do not get the opportunity to do. Others spent with their other children doing tasks such as homework, reading a book or going to swimming and football. The project enabled children to make new friends that they would not have ordinarily have played with due to the nature of how school breaks are managed within the setting. Young people began to get to know other young people and developed friendships over the weeks and out hope is that parents will be able to retain those links for children. Show Case Study Hide Case Study A difference Campsie View Fun Club made: Parents/carers of the children attending the Club will feel better supported to sustain their caring role. Single parent carer of 10 year old boy with autism. The parent stated that her child attending the Club gave her opportunities to do activities that she would normally not get the chance to do. This included the opportunity for some “me time” and relaxation activities such as going for a sauna, or a pamper session which was greatly appreciated as it gave her time to recharge the batteries. Knowing that her son was in a safe environment with people who understood how to work with him also enabled her to relax more and enjoy the time to herself. Show Case Study Hide Case Study A difference Campsie View Fun Club made: There will be more opportunities and choices available for disabled children and young people and their families, including better access to mainstream activities and leisure services. The parent describes her child as never switching off and being on the go all day every day. Due to the level of support that is required by her son the parent finds it impossible to do activities with her other children, such as swimming lessons. Being able to do these activities with her other children benefits them as having a sibling with high level support needs means that they often are overlooked and have to help their parent constantly with their sibling. Show Case Study Hide Case Study A difference Campsie View Fun Club made: Disabled children and young people, especially those with multiple support needs, will have more opportunities to take part in activities which are fun, stimulating and rewarding. Parent of 6 year old boy, non-verbal communication particularly with people he doesn’t know. The parent feels that her son has benefited greatly from attending the Club and that he always has a big smile on his face on a Wednesday when he is going to the club. The child is not a member of any other clubs and is comfortable with the school environment which works well for her son. During his time at the Club he has learned to trust the support staff that are there which put parents’ minds at ease. The parent is a teacher and his child is usually cared for after school by his grandparent so the opportunity for him to spend time with his peers, as he doesn’t get the opportunity for “play dates”, is very beneficial to both the child and the carer. The funding from the Shorts Break Fund, Better Breaks Programme helped to realise the dreams of the parents, who, following years of campaigning, finally got a local after school service for their children set up. Thirty parents, almost 50 % of those with a child at Campsie View School, participated in the service design of the Fun Club deciding when it should happen, where it should happen and the level of parental financial contribution to be made. The piloting of the Club has shown that a service can be delivered in the area, that there are children who will use it, that parents are willing to contribute towards its costs and that parents feel better placed to cope with their caring role because of the respite they get. In short the Club Pilot made a very positive difference to parents and children/young people. Unexpected Challenges or Benefits were, the length of time that registration took to obtain for the Club was detrimental to the uptake at the Club. The initial interest that was shown lost momentum due to the length of time it took for the registration to be completed which was out with our control. Given that the school roll was around 60 pupils and that there were up to 16 places available at the Club it wasn’t possible to know the exact composition of the Club, in terms of the needs and complexities of the children, in advance. Once the Club started and the numbers of children attending steadily increased we found there were 4 children who required 1-2-1 support. We were able to put additional support in to ensure that all the children had the support they required to enable them to participate in all the activities that they chose to. 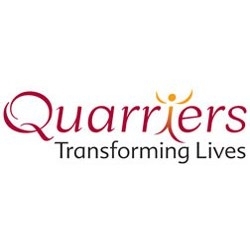 Quarriers contracted its own staff (8) and the school staff (2) to work in each of the 20 sessions. This meant that there was a guarantee of 10 staff being present at each session. Although the numbers of children attending the club was lower than anticipated (16 planned per session compared to an average of 8 per session) many of the children who attended had multiple and complex needs including some non-ambulant children and some who required PEGS feeding (this is one of the reasons school staff were involved in the club as they were trained and experienced in PEGS feeding). In delivering the Club it was found that almost every child either needed, or benefited from, 1-1 support. This level of support meant that the club could better support children to interact with each other and on a practical level be able to toilet children, which often required two staff, and still have sufficient staff cover for the remaining children. The level of support also gave the parents assurance that their children would be well cared for allowing them to fully enjoy their break from the caring role. Quarriers’ staff benefited from spending time at the school in advance of the Club starting so that they could, for example, become familiar with the school layout and equipment, go through the East Dunbartonshire Child Protection Guidelines, and learn about the particular needs of children whose parents had said they would be interested in attending the Club. Running the pilot club in the school was seen by all as a good option. It meant the children didn’t need to travel to attend the club; were in safe, familiar and well equipped surroundings and that school support staff could help with the running of the club readily. These advantages were realised but a view emerged that running the club at another location could have helped to more clearly distinguish leisure/fun time from school time. It was originally planned to have a parent hub in a room in the school for 30 minutes before the children were to be collected from the club. During consultations parents had strongly supported this idea. As they said they didn’t get the chance to meet up with other parents for peer support and exchange of advice and ideas. This however did not happen, in reality parents preferred to spend their time away from their caring role doing something for themselves or with their other children. Feedback from parents pointed to a need for more regular communication on the club. Parents of children at the school are used to receiving very regular updates about their child including information about behaviours from teachers and parents are encouraged to communicate regularly with the school about their child. It appears parents were looking for, and expecting, similar levels of communication from the club. This was rectified but it would have been better all-round if the level of communication need and expected by parents had been agreed with them from the outset of the club. In addition some parents said that taster sessions would have been a useful way for both them and their child to decide if the club was for them. Never under estimate the importance of regular communication with carers as experience has shown they want to be kept in the loop. Have a plan in place for each session but be aware that the service is children led and that planned activities may have to be changed depending on what the children are wanting to do on the day. Keep the activities simple and not too complicated. Activities such as simple baking, outdoor play and music proved to be the ones most enjoyed by the children. Some of the children absolutely loved going out in the dark with head torches!